Are you fresher guys and looking for the first job? but don't know how to face the interview and don't know what kind of question asked in an interview then don't worry now. We have shared here some basic question that is frequently asked the fresher candidate. 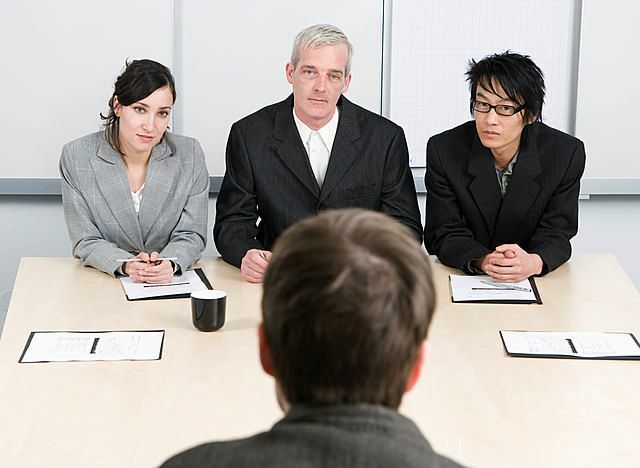 Hope these questions help you to prepare your first interview. If possible prepare these all. How to go for Interview? Ans- First you prepare well your subjective question and answer. => Go in Well dressed. as usually In a Formal dress. boy full Paint and full shirt Girl should also in salwar with dupatta, or and all body cover dress. and make hair well. =>sit straighten and keep a smile on face, don't hesitate to give a clearly and full faith. if you don't know then tell frankly I don't know sir/ mam. =>Don't haste about the final result. Tell me Something About you. OR Introduce your self. Name, Sun's sine, Residence, Qualification, Experience Hobbies, Ambition, and Family Background. My name is Arun Singh. I am Aries born. I have come from New Delhi( your local Address where you live at) I have done B. Com from Delhi University. 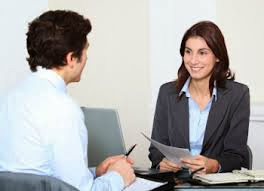 I am totally fresher(for fresher if you have any Experience then describe here) My hobby is work in a Challenging Environment which provides us with growth and development. My Ambition is earning name and fame with booming industry like as Business Management( you say that IT, Call Center or which you have gone for interview) As for my family background, My father is a Businessman(as your father profession( tell here truth))My mother is Good Homemaker ( not housewife)/ teacher (any post as your mother is) My two younger brother and one younger sister are also studying. that all about me. Ans - This is not only a fine opportunity, but this company is a place where my qualifications can make a difference. As a finance executive well versed in the new stock options law, I see this position as made to order. I well understand that this is a company on the way up. Your Website says the launch of several new products is imminent. I won't be a part of this business as it grows. Having worked through a college business major building decks and porches for neighbors, this entry-level job for the area's most respected home builder has my name on it. I'd fit right in as a counter clerk in your fine dry cleaners. I have observed that the counter clerk position requires competence at handling several activities in quick order -- customer service, payments, bagging, and phones. I like multitasking and, as a homemaker, I have a lot of practice in keeping all the balls in the air. The work I find most stimulating allows me to use both my creative and research skills. The buzz on this company is that it rewards people who deliver solutions to substantial problems. Now, Friend, I have described here some Programming or subjective question and Answer about Asp. net/ .net. if you go to an interview for the developer of .net then is useful for you. Ans - ASP.NET is a specification developed by Microsoft to create dynamic Web applications, Web sites, and Web services. It is a part of the .NET Framework. You can create ASP.NET applications in most of the .NET compatible languages, such as Visual Basic, C#, and J#. The ASP.NET compiles the Web pages and provides much better performance than scripting languages, such as VBScript. The Web Forms support to create powerful forms-based Web pages. You can use ASP.NET Web server controls to create interactive Web applications. With the help of Web server controls, you can easily create a Web application. Ans - The basic difference between ASP and ASP.NET is that ASP is interpreted; whereas, ASP.NET is compiled. This implies that since ASP uses VB Script; therefore when an ASP page is executed, it is interpreted. On the other hand, ASP.NET uses .NET languages, such as C# and VB.NET, which are compiled to Microsoft Intermediate Language (MSIL). 5. How can we identify that the Page is PostBack? Page object has an "Is PostBack" property, which can be checked to know that is the page posted back. 6. What is the lifespan for items stored in View State? The items stored in View State live until the lifetime of the current page expires including the postbacks to the same page. 7. How information about the user's locale can be accessed? The information regarding a user's locale can be accessed by using the System. Web .UI. Page. Culture property. 8. What is the difference between SQL notification and SQL invalidation? The SQL cache notification generates notifications when the data of database changes, on which your cache item depends. The SQL cache invalidation makes a cached item invalid when the data stored in a SQL server database changes. 9. Which is the parent class of the Web server control? The System. Web .Ul. Control class is the parent class for all Web server controls. 10. Can you set which type of comparison you want to perform by the Compare validate control? Yes, by setting the Operator property of the Compare to validate control. 11. What is the behavior of a Web browser when it receives an invalid element? 12. What are the advantages of the code-behind feature? Removes the problems of browser incompatibility by providing code files to exist on the Web server and supporting Web pages to be compiled on demand. 13. How do you sign out from forms authentication? The Forms Authentication. Signout ( ) method is used to sign out from the forms authentication. 14. What is Auto PostBack? 15. What is the function of the View State property? The ASP.NET 4.0 introduced a new property called View State Mode for the Control class. Now you can enable the view state to an individual control even if the view state for an ASP.NET page is disabled. 16. Why do you use the App_Code folder in ASP.NET? The App_Code folder is automatically present in the project. It stores the files, such as classes, typed dataset, text files, and reports. If this folder is not available in the application, you can add this folder. One of the important features of the App_Code folder is that only one dll is created for the complete folder, irrespective of how many files it contains. 17. Define a multilingual Web site. A multilingual Web site serves content in a number of languages. It contains multiple copies for its content and other resources, such as date and time, in different languages. 18. What is an ASP.NET Web Form? ASP.NET Web forms are designed to use controls and features that are almost as powerful as the ones used with Windows forms, and so they are called Web forms. The Web form uses a server-side object model that allows you to create functional controls, which are executed on the server and are rendered as HTML on the client. The attribute, run-at "server", associated with a server control indicates that the Web form must be processed on the server. 19. What is the difference between a default skin and a named skin? The default skin is applied to all the Web server controls in a Web form, which are of similar type, and it does not provide a Skin ID attribute. The named skin provides a Skin ID attribute and users have to set the Skin ID property to apply it. 20. What is IIS? Why is it used? 21. What is Query String? What are its advantages and limitations? The Query String helps in sending the page information to the server. It does not require server resources and so does not exert any kind of burden on the server. Information must be within the limit because URL does not support many characters. 22. What is actually returned from the server to the browser when a browser requests a .aspx file and the file is displayed? When a browser requests a .aspx file then the server returns a response, which is rendered into an HTML string. 23. How can you display all validation messages in one control? The Validation Summary control displays all validation messages in one control. 24. Which two new properties are added in ASP.NET 4.0 Page class? The two new properties added in the Page class are Meta Keyword and Meta Description. 25. What is tracing? Where is it used? Tracing displays the details about how the code was executed. It refers to collecting information about the application while it is running. Tracing information can help you to troubleshoot an application. It enables you to record information in various log files about the errors that might occur at runtime. You can analyze these log files to find the cause of the errors. In .NET, we have objects called Trace Listeners. A listener is an object that gets the trace output and stores it to different places, such as a window, a file on your local drive, or a SQL Server. The System. Diagnostics namespace contains the predefined interfaces, classes, and structures that are used for tracing. It supplies two classes, Trace and Debug, which allow you to write errors and logs related to the application execution. Trace listeners are objects that collect the output of tracing processes. 26. What is the difference between authentication and authorization? Authentication verifies the identity of a user and authorization is a process where you can check whether or not the identity has access rights to the system. In other words, you can say that authentication is a procedure of getting some credentials from the users and verify the user's identity against those credentials. Authorization is a procedure of granting access to particular resources to an authenticated user. You should note that authentication always takes place before authorization. 27. How can you register a custom server control to a Web page? 28. Which ASP.NET objects encapsulate the state of the client and the browser? The Session object encapsulates the state of the client and the browser. 29. Differentiate globalization and localization. 30. What is View State? The View State is a feature used by ASP.NET Web page to store the value of a page and its controls just before posting the page. Once the page is posted, the first task by the page processing is to restore the View State to get the values of the controls. 31. Which method is used to force all the validation controls to run? 32. Which method has been introduced in ASP.NET 4.0 to redirect a page permanently? 33. How can you send an email message from an ASP.NET Web page? You can use the System. Net.Mail. Mail Message and the System. Net.Mail. SMPTS Mail classes to send an email in your Web pages. In order to send an email through your mail server, you need to create an object of the Smtp Client class and set the server name, port, and credentials. 34. What is the difference between the Response.Write() and Response.Output.Write() methods? Response.Write() method allows you to write the normal output; whereas, the Response.Output.Write() method allows you to write the formatted output. 35. What does the Orientation property do in a Menu control? 36. Differentiate between client-side and server-side validations in Web pages. 37. How does a content page differ from a master page? A content page does not have complete HTML source code; whereas a master page has complete HTML source code inside its source file. 38. Suppose you want an ASP.NET function (client side) executed on the MouseOver event of a button. Where do you add an event handler? The event handler is added to the Add() method of the Attributes property. 39. What is the default timeout for a Cookie? 40. What are HTTP handlers in ASP.NET? HTTP handlers, as the name suggests, are used to handle user requests for Web application resources. They are the backbone of the request-response model of Web applications. There is a specific event handler to handle the request for each user request type and send back the corresponding response object. Each user requests to the IIS Web server flows through the HTTP pipeline, which refers to a series of components (HTTP modules and HTTP handlers) to process the request. HTTP modules act as filters to process the request as it passes through the HTTP pipeline. The request, after passing through the HTTP modules, is assigned to an HTTP handler that determines the response of the server to the user request. The response then passes through the HTTP modules once again and is then sent back to the user. You can define HTTP handlers in the <http Handlers> element of a configuration file. The <add> element tag is used to add new handlers and the <remove> element tag is used to remove existing handlers. To create an HTTP handler, you need to define a class that implements the Http Handler interface. 41. What are the events that happen when a client requests an ASP.NET page from IIS server? User requests for an application resource. The integrated request-processing pipeline receives the first user request. Response objects are created for each user request. An object of the Http Application class is created and allocated to the Request object. The Http Application class processes the user request. 42. Explain file-based dependency and key-based dependency. In file-based dependency, you have to depend on a file that is saved in a disk. In key-based dependency, you have to depend on another cached item. 43. How can you implement the postback property of an ASP.NET control? You need to set the Auto PostBack property to True to implement the PostBack property of controls. 44. Explain how Cookies work. Give an example of Cookie abuse. The server tells the browser to put some files in a cookie, and the client then sends all the cookies for the domain in each request. An example of cookie abuse is large cookies affecting the network traffic. Login controls are built-in controls in ASP.Net for providing a login solution to ASP.NET application. The login controls use the membership system to authenticate a user credentials for a Web site. Change Password control - Allows users to change their password. Create User Wizard control - Provides an interface to the user to register for that Web site. Login View control - Displays appropriate information to different users according to the user's status. Login Name control - Displays a username, if the user logs in. Password Recovery control - Allows users to get back the password through an e-mail if they forget. 46. What is the use of PlaceHolder control? Can we see it at runtime? The PlaceHolder control acts as a container for those controls that are dynamically generated at runtime. We cannot see it at runtime because it does not produce any visible output. It used only as a container. 47. What setting must be added in the configuration file to deny a particular user from accessing the secured resources? 48. What are the event handlers that can be included in the Global. asax file? 49. What is the difference between page-level caching and fragment caching? In the page-level caching, an entire Web page is cached; whereas, in the fragment caching, a part of the Web page, such as a user control added to the Web page, is cached. 50. Make a list of all templates of the Repeater control. 51. Describe the complete life cycle of a Web page. Unload - During this stage, when the page is completely rendered and sent to the client, the page is unloaded.